This knotty alder live edge bar top features a brown and black stain and a coat of polyurethane for protection. 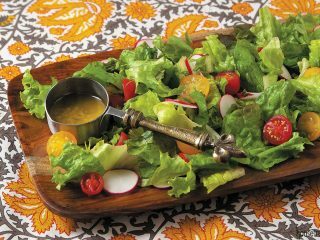 “Rustic Glam” is the phrase homeowner Suzanne Raburn uses to describe her family’s new home in Wimauma, just southeast of Tampa. 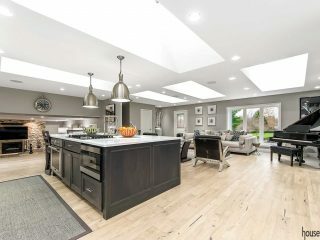 Conveniently located on family-owned property, Suzanne, husband Ryan, and daughters Taytum (5) and Raelyn (2) are enjoying their unique home custom designed specifically to their taste. 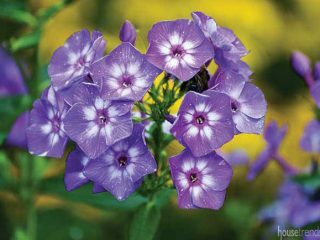 Since Ryan plays professional baseball for the Colorado Rockies and therefore travels frequently during warm weather seasons, he entrusted Suzanne to coordinate the myriad of decisions needed to build a residence from scratch. Working with Jack Bartlett’s staff at Bartlett Custom Homes to select an adaptable floor plan, Suzanne relied on FaceTime to converse with Ryan about decisions and keep him, while on the road, up to date on the construction progress. 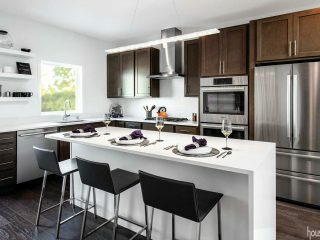 They spent a considerable amount of time discussing the design of the custom kitchen, working with Amoroso Cabinets to bring their ideas to life. 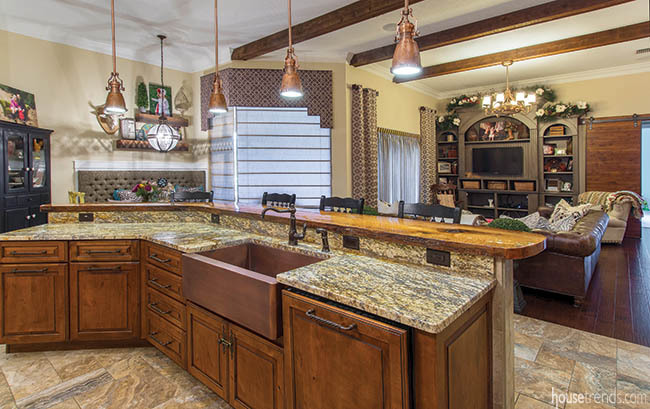 Douglas Amoroso, owner of Amoroso Cabinets, brings 19 years of experience specializing in new and remodeled kitchen and bath design and installation. 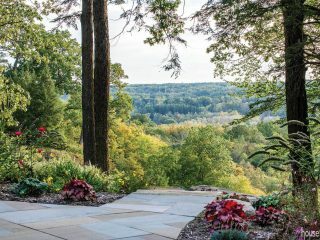 Amanda Pandorf, custom designer for Amoroso, works with homeowners to make each project individually planned not only for convenience but also to incorporate the homeowners’ “wish list” as much as possible. 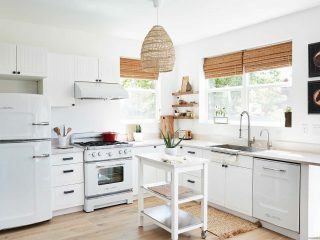 Their goal was to create a kitchen with a country/modern vibe that complements the other unique features found in the house. 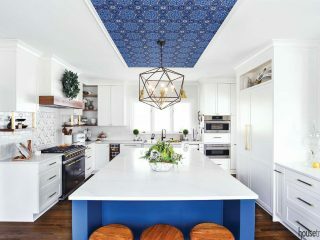 Pandorf and Amoroso began to work with the Raburns by looking at magazine photos and other ideas that the homeowners had come across while planning the home. To fit both the space and their desire for a rustic look, Pandorf worked closely with Suzanne to find dramatic stacked stone—to match similar stone in other parts of the home—for the range hood above the cooktop. 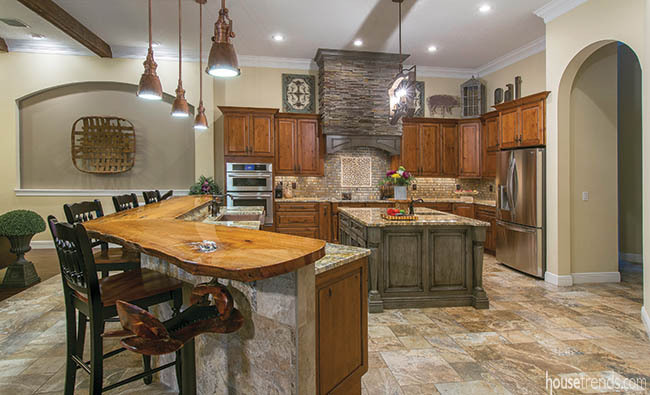 A mélange of materials including glass, natural stone, slate, and travertine were used to create the backsplash inset behind the range. 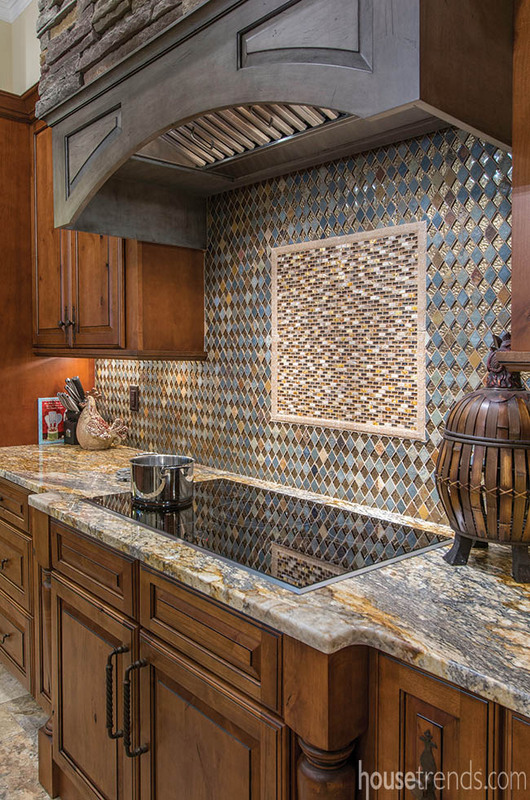 Sparkle grout was used for contrast against the darker granite countertops, while the remaining mosaic tile backsplash features a mixture of clay stone and copper-colored glass pieces. 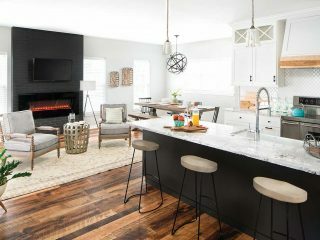 Suzanne searched carefully to find the perfect knotty alder live edge bar top with a warm brown and black stain glaze topped by polyurethane for protection. 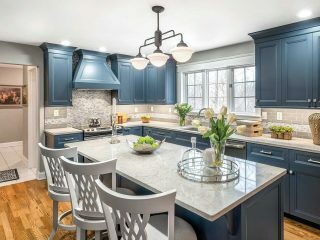 “In addition,” says Suzanne, “the natural raw edges and knots give the bar top such character and unevenness.” Also one of Ryan’s favorite accents, it complements the Appaloosa finish (a heavily distressed gray tone) on the island cabinetry and range hood mantle. The island itself is large in scale, giving the feel of a piece of furniture with its weight, dimension and designer feet extending at each corner. 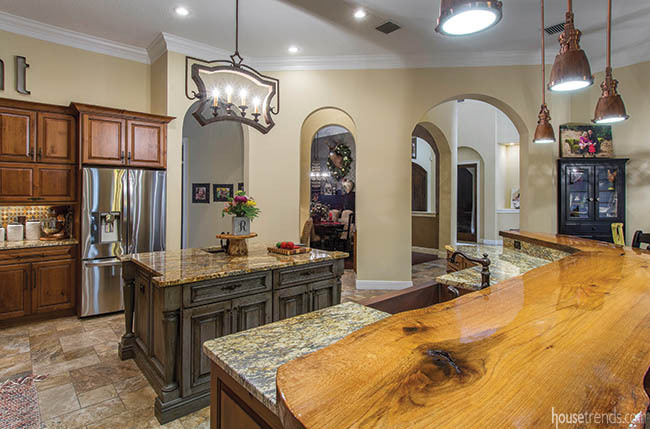 The granite countertop below the bar and circling the kitchen is a bit darker, with swirls of color to complement the wood countertop and backsplash. 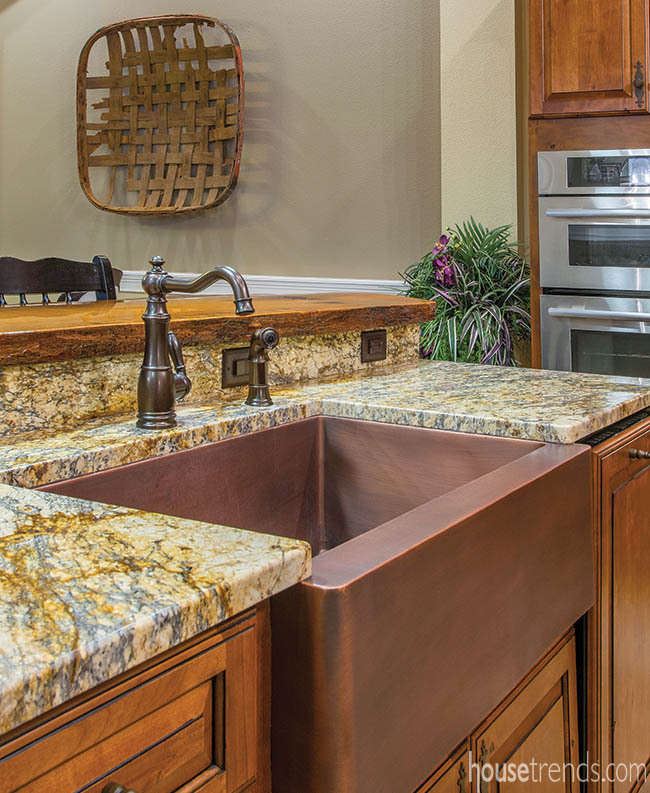 Her deep copper farm sink is another of Suzanne’s favorites, especially since it is configured for open space, with no divider. That allows her to wash or rinse larger pots and pans. Dishes don’t get left sitting in the sink for long, as she is determined to delay the potential color changes of the copper patina. 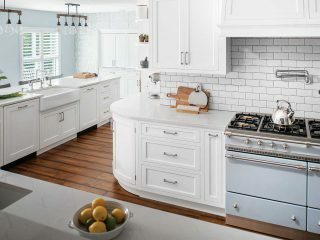 The “Normandy” cabinetry has a patina rouge with pullout drawers for cookware and bakeware. All drawers are soft close. The kitchen flooring is actually tile that looks like travertine marble. The tile was also added to the outer base of the perimeter island. “With little kids, I decided this would be easier to keep clean,” laughs Suzanne. The tiles are arranged in a pattern of squares within squares, adding a distinct look to the area. Most of the appliances are Jenn-Air, including the five-element induction cooktop with one-touch turnoff to protect curious little fingers. A convenient microwave resides above the built-in auto convection oven, and a French door refrigerator provides plenty of cold storage space.